Two Vehicle Crash Kills 10-Year-Old Girl And Injures Two Others | Schuler, Halvorson, Weisser, Zoeller & Overbeck P.A. A Broward County community is mourning the death of a 10-year-old girl who was discovered after a two-vehicle car crash in the county. The fifth-grader in Deerfield Beach, was a Type 1 diabetic, and her family said she suffered an extreme drop in blood sugar at some point before the accident. The crash happened between Interstate 95 and Westbound Avenues. It started when a Toyota Corolla, driven by a 26-year-old, collided with a cab in which the little girl was in with her mom. Both the 26-year old driver and the little girl’s mom suffered non-life threatening injuries and were taken to Delray Medical Center in Palm Beach County. The little girl was rushed to a Children’s Hospital in Hallandale Beach with brain trauma and several injuries. She died at the hospital,The Post reported. 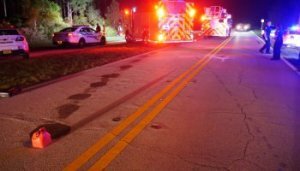 FHP said the cause of the crash is still under investigation, but no charges have been filed yet.